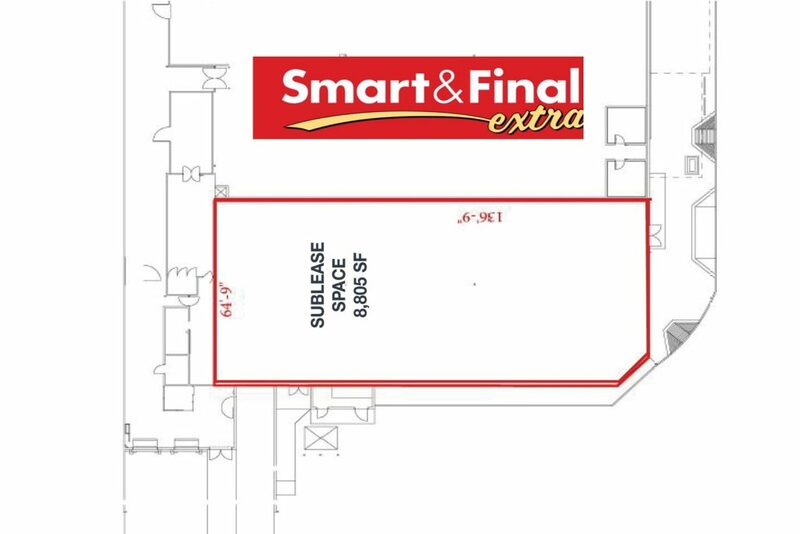 Sublease available adjacent to Smart & Final Extra! in neighborhood shopping center in the east end of Ventura. 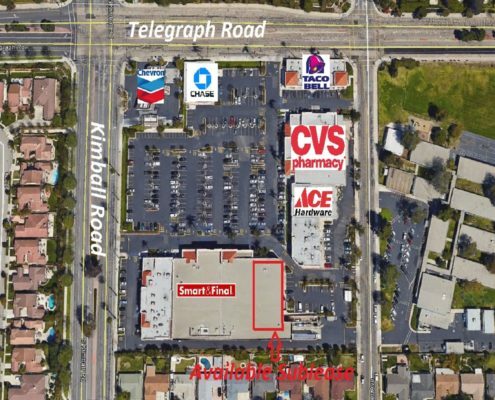 Space shares the property with Ace Hardware, Chase Bank, Taco Bell, and a couple local restaurants. 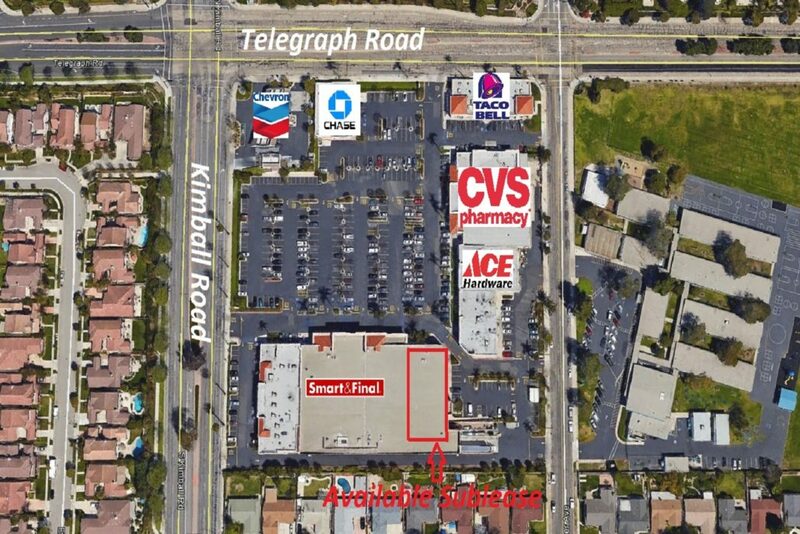 Prime location in densely populated east Ventura near hwy 136, access at Kimball Road.